Perch Class Submarine: Laid down, 1 October 1935, at Portsmouth Navy Yard, Portsmouth, NH; Launched, 15 September 1936; Commissioned, USS Pollack (SS-180), 15 January 1937; Decommissioned, 21 September 1945, at Portsmouth Navy Yard, Portsmouth, NH; Struck from the Naval Register, 29 October 1946; Final Disposition, sold for scrapping, 2 February 1947, to Ship-Shape Inc., Philadelphia, PA. Pollack earned ten battle stars for World War II service. Specifications: Displacement, Surfaced: 1,330 t., Submerged: 1,997 t.; Length 300' 7"; Beam 21' 5"; Draft 13' 10"; Speed, Surfaced 21 kts, Submerged 9 kts; Maximum Operating Depth, 250'; Complement 5 Officers, 45 Enlisted; Armament, six 21" torpedo tubes, 18 torpedoes, one 3"/50 deck gun, two .50 cal. machine guns, four .30 cal. machine guns; Propulsion, diesel-electric, Fairbanks-Morse and Co. diesel engines, HP 4300, Fuel Capacity, 92,801 gals. ; Elliot Motor Co., electric motors, HP 2368, 240 battery cells, twin screws. 911k Pollachius pollachius, a Pollack. Photo courtesy of wikipedia.org. 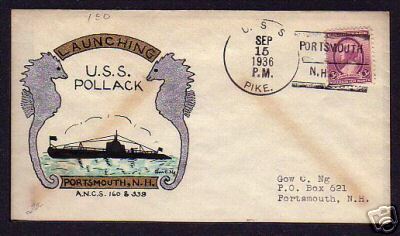 24k Commemorative post mark on the occasion of the Pollack's (SS-180) launching at Portsmouth Navy Yard, Portsmouth, NH, 15 September 1936. Courtesy of Jack Treutle (of blessed memory). 65k Stern view of the Pollack (SS-180) & Plunger (SS-179) at Portsmouth Navy Yard, Kittery, ME. They are pictured here fitting out, circa April 1937. USN photo courtesy of ussubvetsofworldwarii.org. 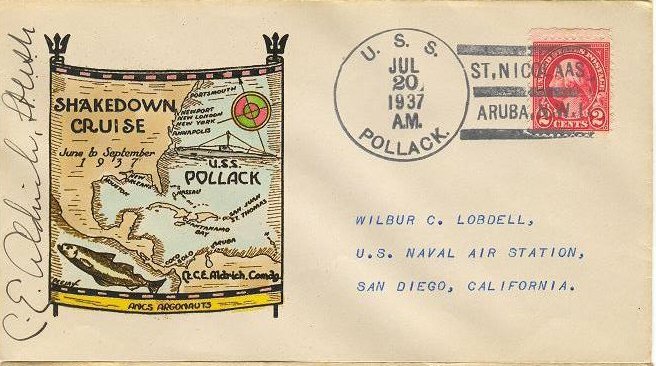 71k Commemorative post mark on the occasion of the shakedown cruise of the Pollack (SS-180), 20 July 1937. Courtesy of Jack Treutle (of blessed memory). 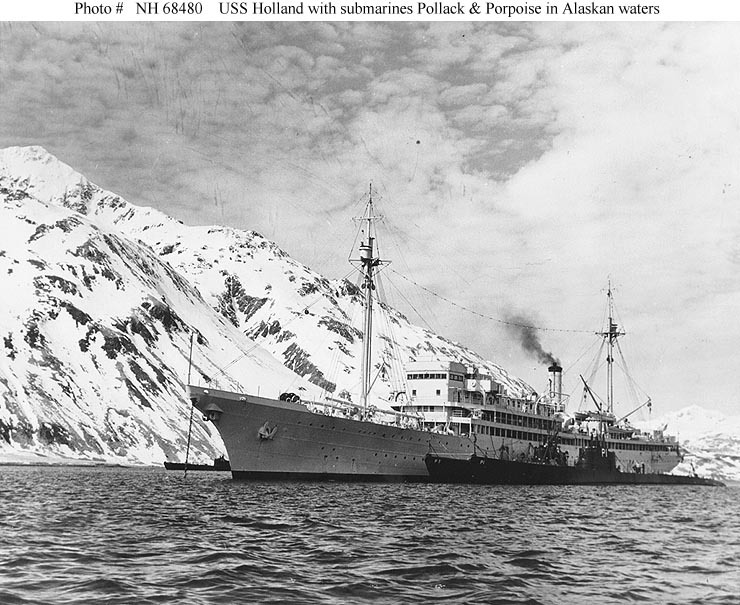 64k Pollack (SS-180) photographed circa 1937. Official USN photo NH 99777, from the collections of the Naval Historical Center. 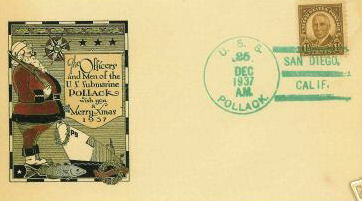 16k Commemorative post mark on the occasion of Pollack's (SS-180), first Xmas, 1937. Courtesy of Jack Treutle (of blessed memory). 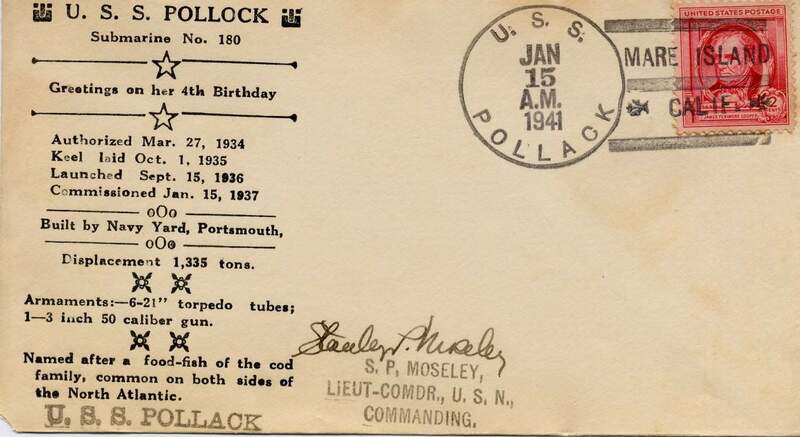 536k Portside of Pollack (SS-180) possibly passing parts of Portsmouth. Photo courtesy of Scott Koen & ussnewyork.com. 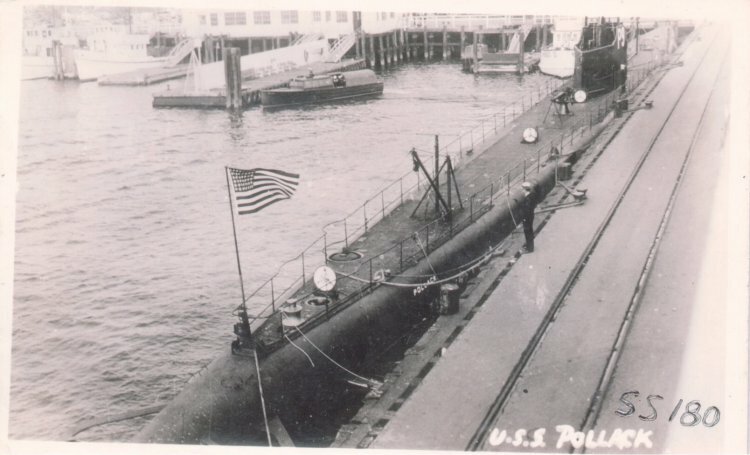 61k Pollack (SS-180), circa late 1930's, possibly at at Portsmouth Navy Yard, Kittery, ME. USN photo courtesy of Harry E. Royer. 81k Photo entitled "Weekly Inspection, Permit (SS-178). 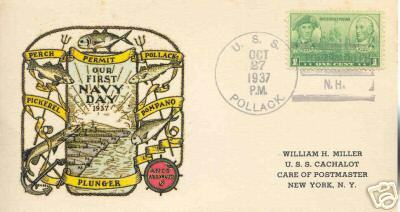 The Pollack (SS-180) and the Plunger (SS-179) flank the Permit." Naval Recruiting Dept, New York, circa late 1937. USN photo courtesy of Darryl L. Baker. 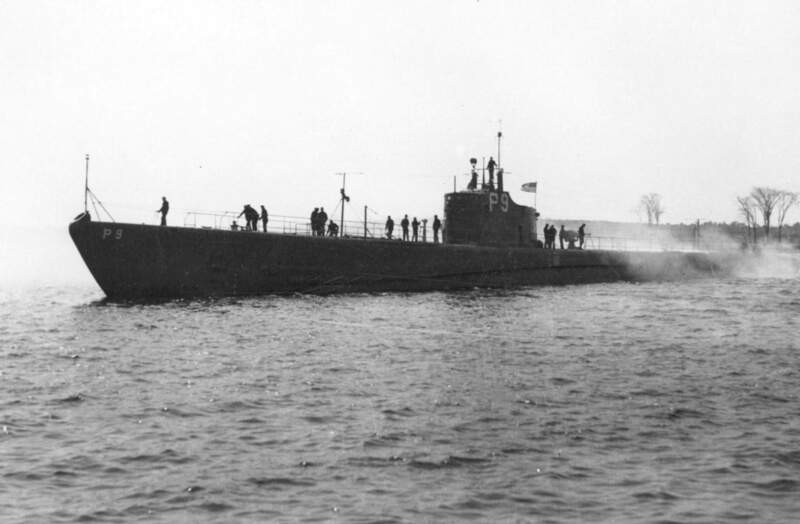 34k Pollack (SS-180) underway, portside view, circa late 30's. Courtesy of submarinesailor.com. 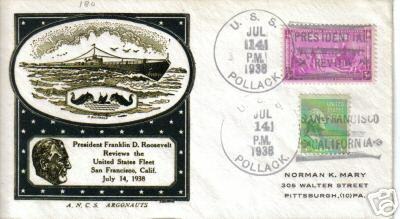 24k Commemorative post mark on the occasion of the Fleet Review by President Franklin Delano Roosevelt at San Francisco, CA, 14 July 1938. Courtesy of Jack Treutle (of blessed memory). 356k Pollack (SS-180) pierside. 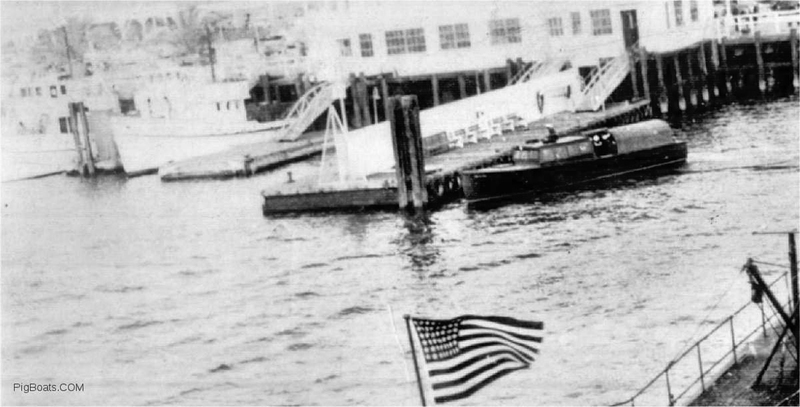 A liberty launch is pulling into an adjacent pier that has benches on it so it looks like a regular happening. Photo dates from between 1 September to 1 June since the uniform of the day is dress blues. Text courtesy of DANFS. Photo from the personal collection of Ric Hedman. 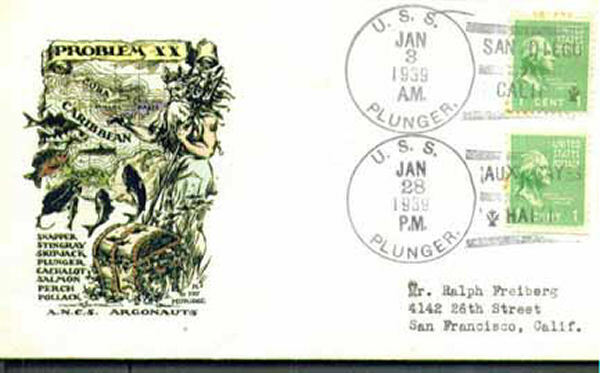 129k Postal cover marking the 4th birthday of the Pollack (SS-180), 15 January 1941. Courtesy of Darryl L. Baker. 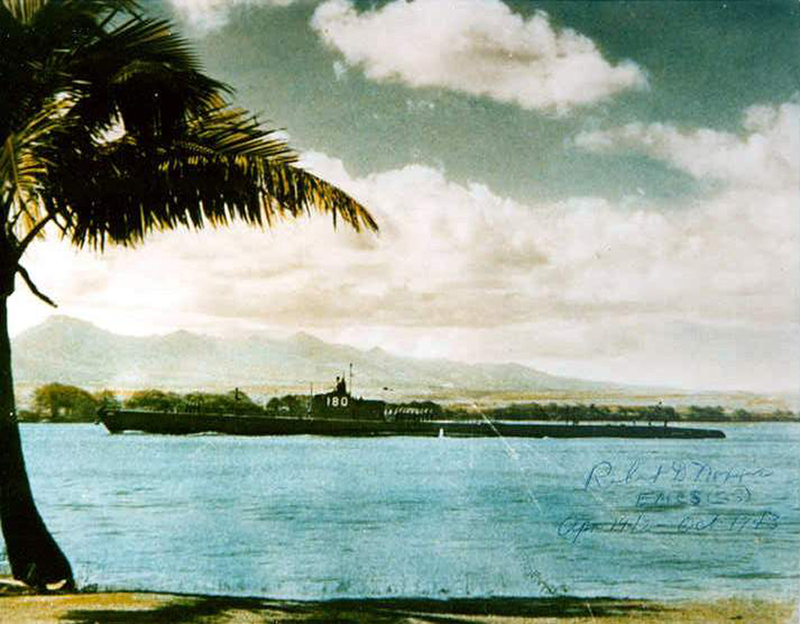 50k Pollack (SS-180) entering Pearl Harbor. This is actually a pre war photo, probably taken in 1939 or 1940. 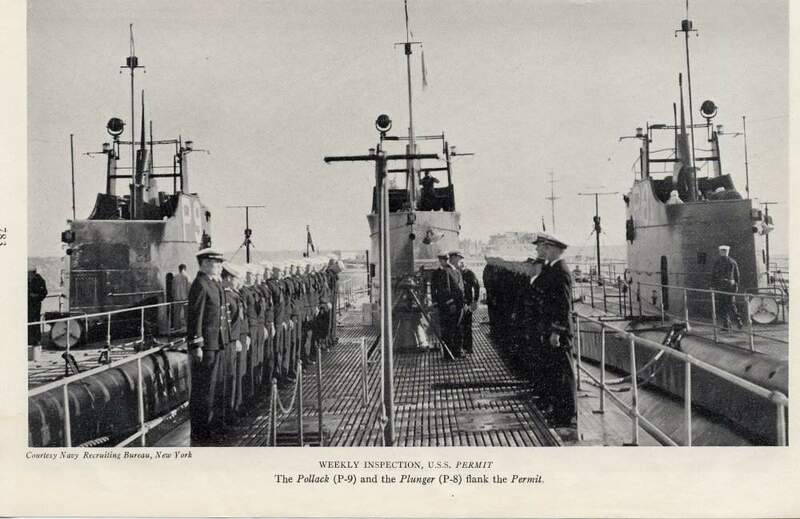 The hull numbers were painted out immediately after hostilities began and the conning tower fairwaters on the P class (SS-176-81) boats were cut down during refits between patrols and during overhauls in 1942. I think this picture was a generic shipboard souvenir postcard or photo obtained by the Senior Chief who wrote the caption on the front during his wartime service. Text courtesy of David Johston (USNR). USN photo probably by Tai Sing Loo, courtesy of ussubvetsofworldwarii.org. 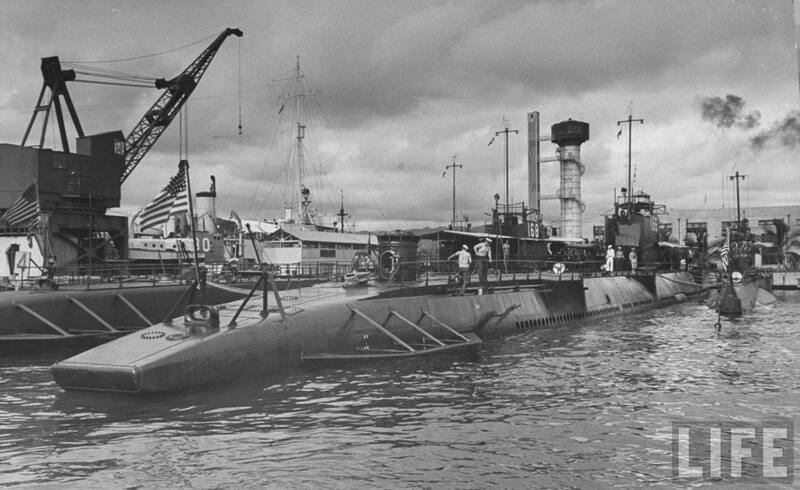 134k Submarines at Pearl Harbor include the Pollack (SS-180) at far left, Nautilus (SS-168) & Argonaut (SS-166) and unidentified S-boat, 1940. Photographer: Carl Mydans, courtesy of time.com. via Life. Partial photo i.d. courtesy of David Johston (USNR). 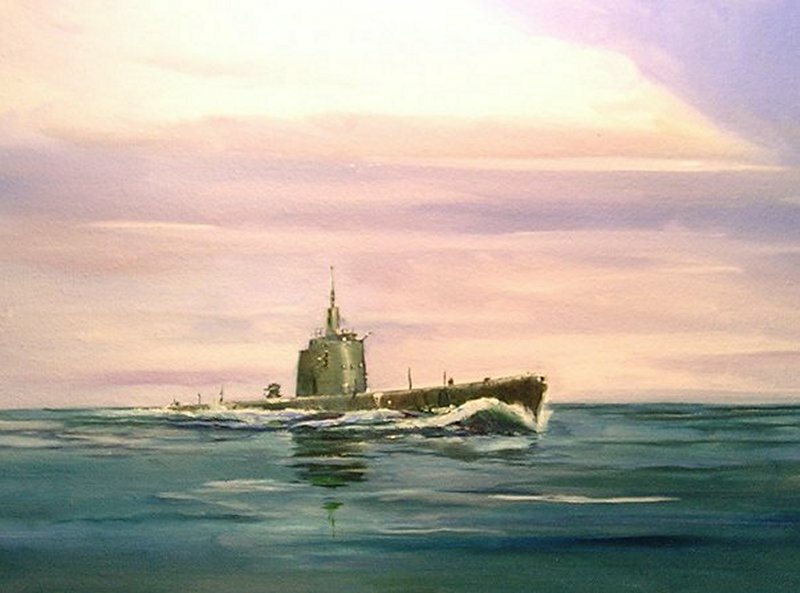 82k Pollack (SS-180), Gudgeon (SS-211), and Plunger (SS-179) departed Pearl Harbor 13 December and were off the coast of Honshu, Japan, a few hours before midnight 31 December, the first American submarines to reach Japanese waters in World War II. 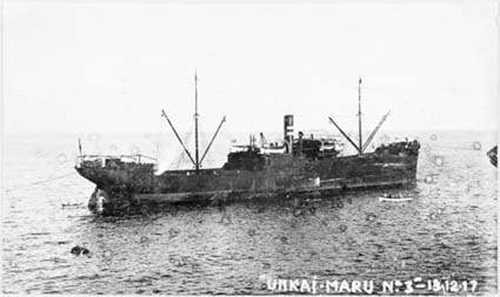 Pollack damaged 2,700-ton cargo ship Heijo Maru 5 January 1942 and, two days later, sent 2,250-ton cargo ship Unkai Maru NO. 1 to the bottom, the first officially confirmed victim of the Pacific Fleet Submarine Force. Text courtesy of DANFS. 74k Capt. 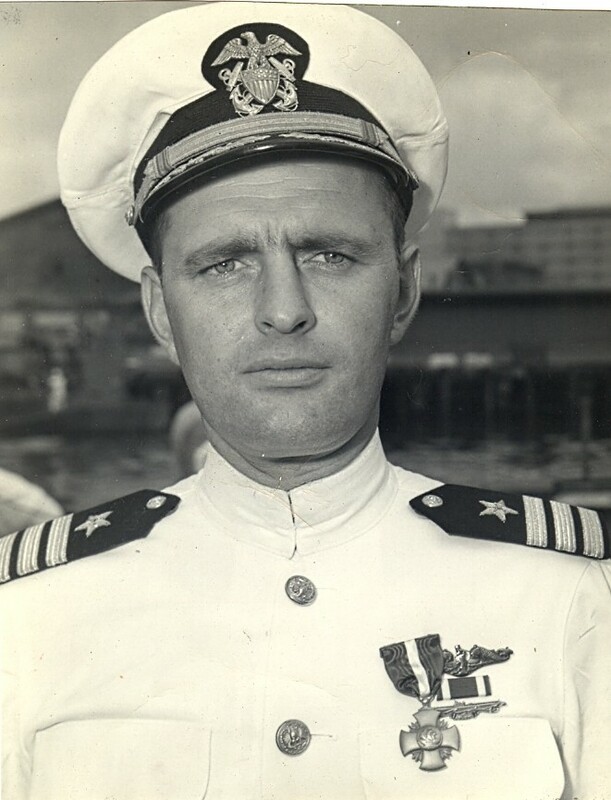 Everett Hartwell Steinmetz was the commanding officer of the Pollack (SS-180) from 13 June 1944 to 20 November 1944. 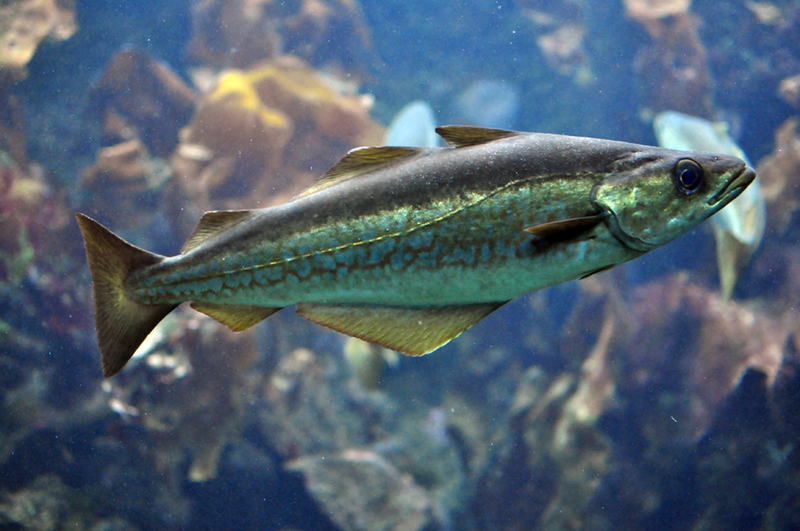 Photo courtesy of the Crevalle (SS-291) thanks to John "Bud" Cunnally via Bill Gonyo. 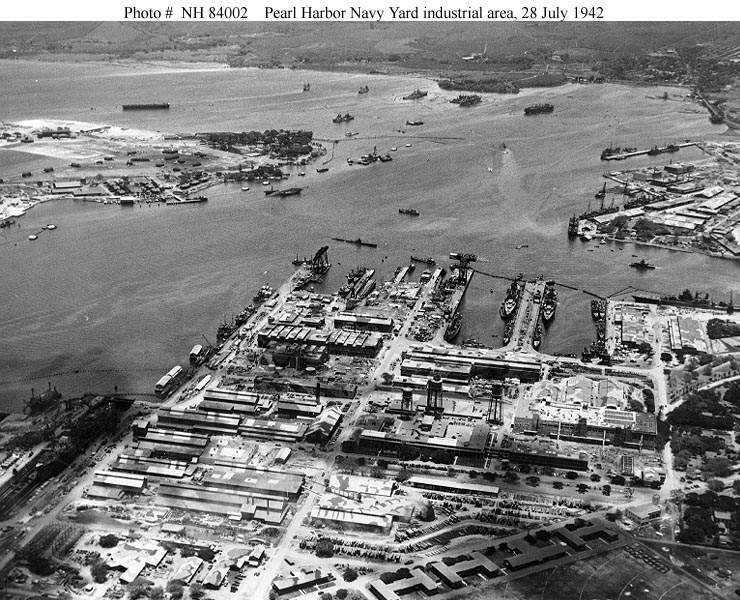 106 Pearl Harbor, Oahu, Territory of Hawaii view looking northward, with the Navy Yard industrial area in the foreground and the Marine Barracks in the lower right, 28 July 1942. Ford Island is at left, with Oklahoma (BB-37) and Arizona (BB-39) under salvage nearby. San Diego (CL-53) is in the upper center. West Virginia (BB-48) is in Drydock Number One, in the lower left, and California (BB-44) is alongside the wharf at the extreme right. Cruisers alongside the pier in right center are Northampton (CA-26) (left) and Pensacola (CA-24). Submarines alongside 1010 Dock, just beyond Drydock # 1, are Trout (SS-202), Pollack (SS-180), Dolphin (SS-169) and Cachalot (SS-170). Note camouflage on many of the Navy Yard's buildings. Official USN photo # NH 84002, from the collections of the Naval Historical Center. Courtesy of the Naval Historical Foundation. Collection of The Honorable James V. Forrestal. 21k Pearl Harbor Navy Yard, Oahu, Territory of Hawaii. 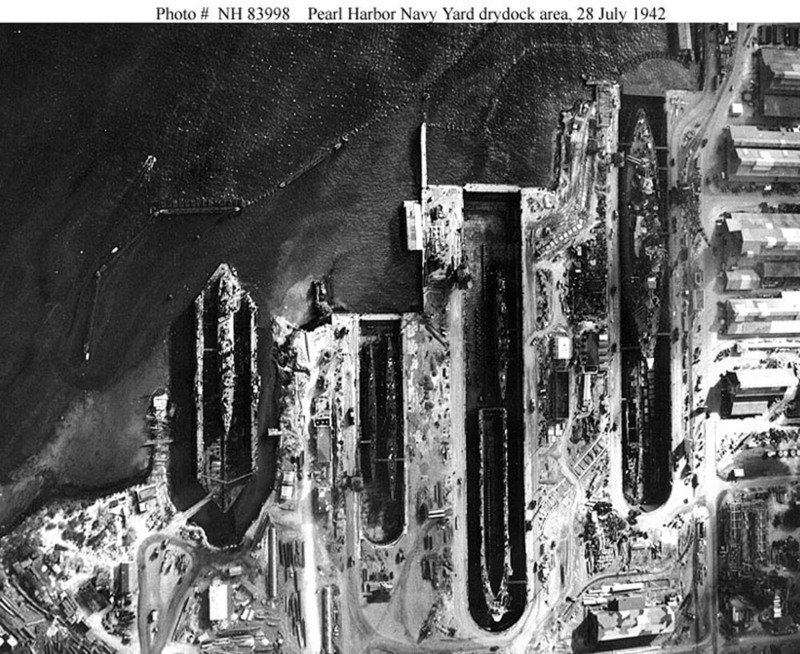 Vertical aerial view of the drydock area, 28 July 1942. Floating drydock YFD-2 is at left, with Alywin (DD-355) inside. Small drydock in center holds Growler (SS-215) and Nautilus (SS-168). Litchfield (DD-336) and an ARD floating drydock are in Drydock # 2, in right center. Drydock # 1, at right, contains West Virginia (BB-48). Submarines partially visible alongside 1010 Dock, in the extreme upper right, are Trout (SS-202) and Pollack (SS-180). Note anti-torpedo nets and booms protecting this area. OfficialUSN photo # NH 83998, from the collections of the Naval Historical Center.Courtesy of the Naval Historical Foundation. Collection of The Honorable James V. Forrestal. 319k An early periscope photo, taken by Pollack (SS-180), profiles an unsuspecting Japanese freighter. periscope photography is tricky and hazardous. Good shots were snapped at ranges under a mile, best at 500 yards. For photo recon U.S. submarines preferred the hard-to-get German primarflex camera. Image scanned from United States Submarine Operations in World War II, by Theodore Roscoe courtesy of Robert Hurst. 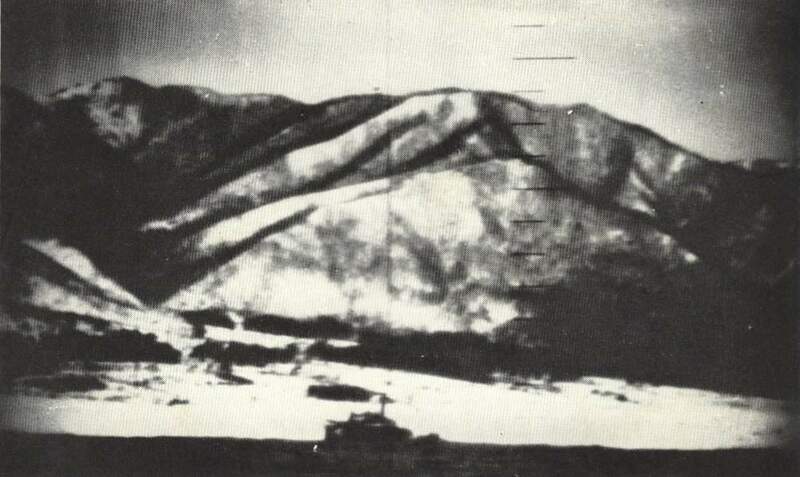 74k Reconnaissance photo taken by the Pollack (SS-180) on 17 March 1943, off the North east coast of Honshu Island, Japan, shows shore installations and a beached Japanese freighter. Text & photo courtesy of Theodore Roscoe, from his book "U.S. Submarine Operations of WW II", published by USNI. 296k Undated pre-war image of the Osaka Shosen KK-owned general cargo ship Bangkok Maru underway. In August 1941 Bangkok Maru (5351 grt): Converted by IJN to armed merchant cruiser December 1941. 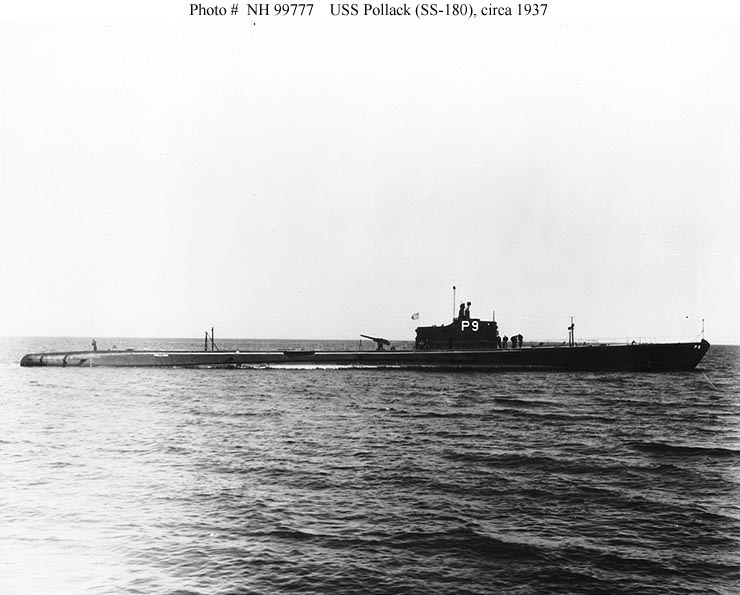 Torpedoed and sunk on 20 May 1943 E of Jaluit Atoll, Marshall Islands (05 degrees 47' N, 169 degrees 42' E) by the submarine Pollack (SS-180). Photo courtesy of Mitsui OSK archives via "The World's Merchant Fleets 1939" by Roger W. Jordan, courtesy of Robert Hurst. 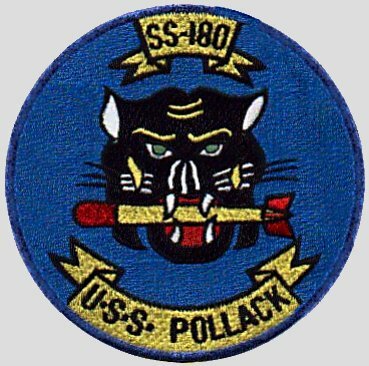 152k 27 page PDF history of the Pollack's (SS-180). Photo courtesy of Scott Koen & ussnewyork.com. 731k CDR Prentice 'Lee' House, Commanding Officer of Pollack (SSN-603) and Dr. William M. Wilson holding a copy of the war time insignia for the submarine at Mare Island on 18 November 1988. USN photo # 230190-11-88, courtesy of Darryl L. Baker.